It's Christmastime again, our most anticipated celebration of the year is just near the corner! Only on this beloved season, we try to catch up with our friends and some distant relatives who are coming home for Christmas. Personally, I love talking with them over coffee or tea or some booze. And most exciting part is sharing some stories with laughter and little tears but most of it - sharing a perfect moment of Christmas. Do you know how I do it? I usually bond with them in any Starbucks branches because aside from a great brewed coffee, I usually love the good ambiance of Starbucks Coffee shop. 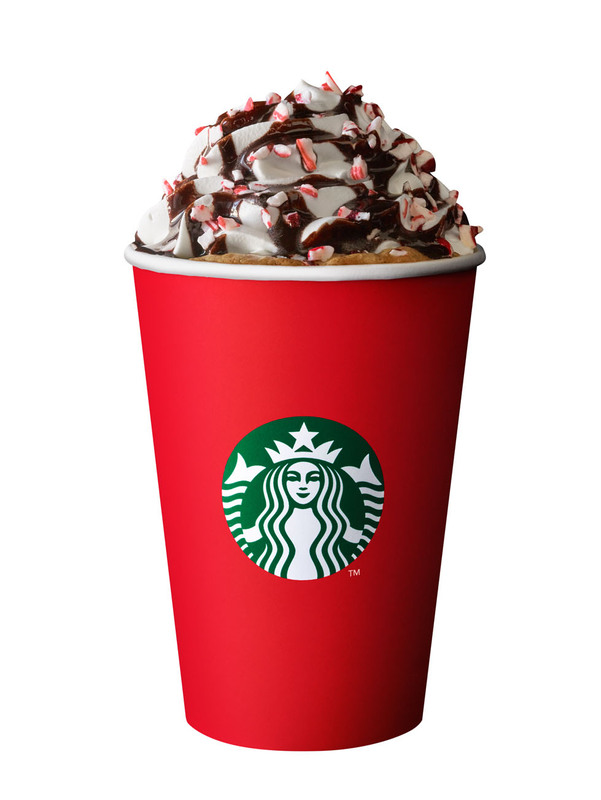 Now, let me give top six reasons why I celebrate Christmas with Starbucks! 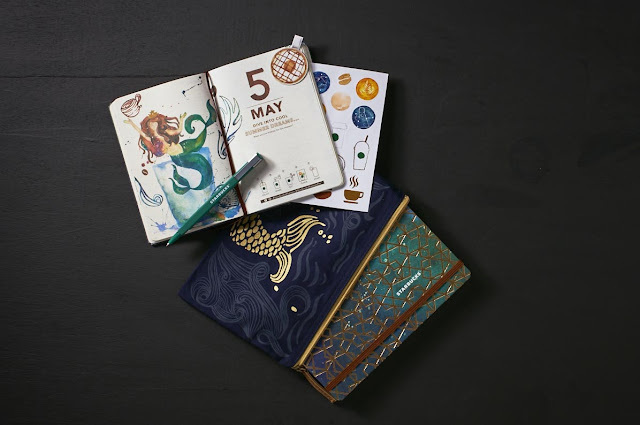 I think this year's design of Starbucks Planner comes in two amazing cover designs: coffee stains and the blue siren planner which is inspired from the iconic Starbucks logo, siren in the sea. These Planners come in two sizes.A very good idea of Christmas gifts to your teacher friends or friends who love plotting schedules and plans for their lives. o A customer can avail of a Starbucks® Christmas Traditions Promo card from November 2, 2016 to January 8, 2017 with no purchase required. o One sticker is awarded for each Starbucks® handcrafted beverage purchase. Holder must accumulate a total of eighteen (18) stickers, to redeem one (1) Limited Edition Starbucks Coffee 2017 Planner. 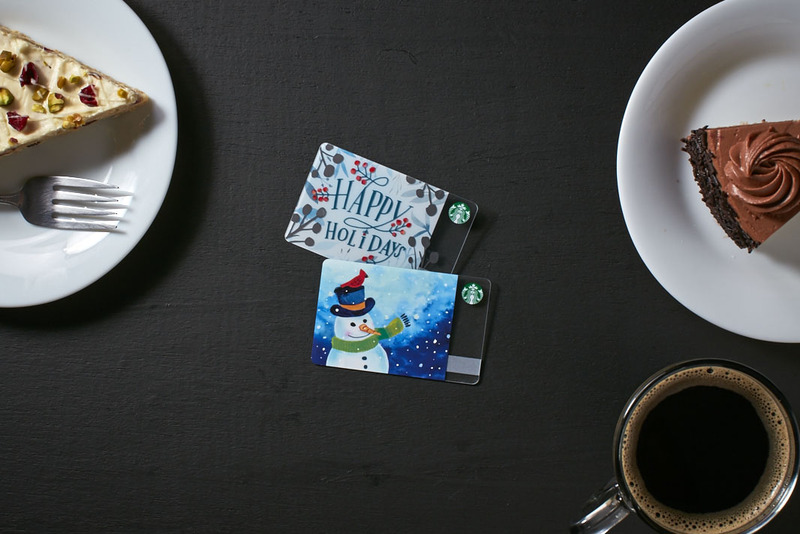 o Customer must present the Starbucks® Christmas Traditions card to the barista upon purchase to get the corresponding number of stickers. o In case any of the Holiday featured beverages are not available (ex. Toffee Nut Latte), customers can substitute it with any of the remaining holiday featured beverages (ex. Santa Hat Dark Mocha or Peppermint Mocha). Should all three (3) not be available, only then can customers substitute with any espresso-based or Frappuccino® blended beverage of their choice. o A customer must complete the required number of stickers to qualify for the redemption of one (1) Limited Edition Starbucks Coffee 2017 Planner. A combination of up to two (2) promo cards will be allowed, provided that the 9 featured plus 9 core beverages have been purchased. Excess stickers for combined cards will be forfeited. o Once all stickers are completed, customer must submit the Starbucks® Christmas Traditions Card/s to redeem one (1) Limited Edition Starbucks Coffee 2017 Planner from any Starbucks Coffee store in the Philippines. o Tampering with and/or transferring of stickers to obtain the required number of stickers will render all promo cards null and void. o Every purchase of a handcrafted beverage (including Starbucks Signature Pairings bundled beverage) using a Starbucks Card will be awarded one (1) sticker and one (1) Beverage Star. Terms and conditions that apply to the Starbucks Card are available on www.starbucks.ph/card. 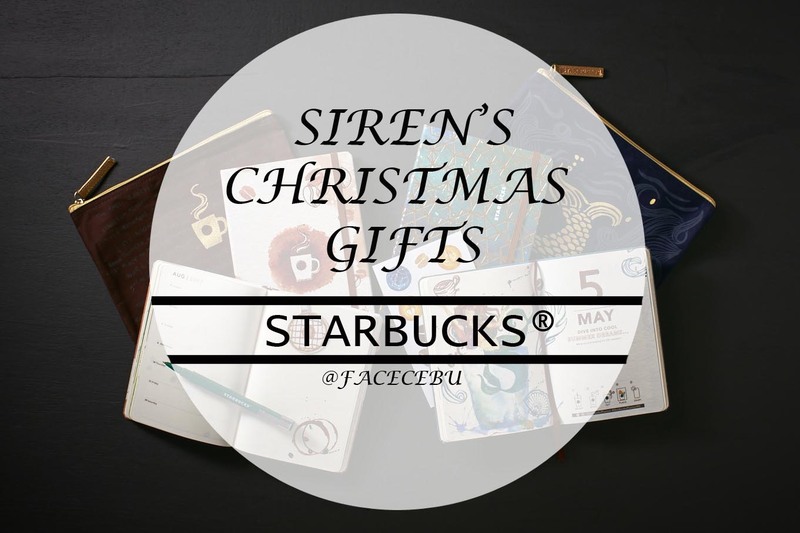 o Single receipt bulk purchase of food and other retail items (merchandise, whole bean and Starbucks VIA®) worth at least ₱7,000 will entitle the customer to one (1) Limited Edition Starbucks Coffee 2017 Planner. Combination of receipts is not allowed. o Bulk purchase of gift certificates and Starbucks Card load/reload of at least ₱7,000 will not entitle the customer to a planner. o The following transactions and discounts are qualified for this promotion. o The following coupons and discounts are disqualified for this promotion. o Promotion starts on November 2, 2016. 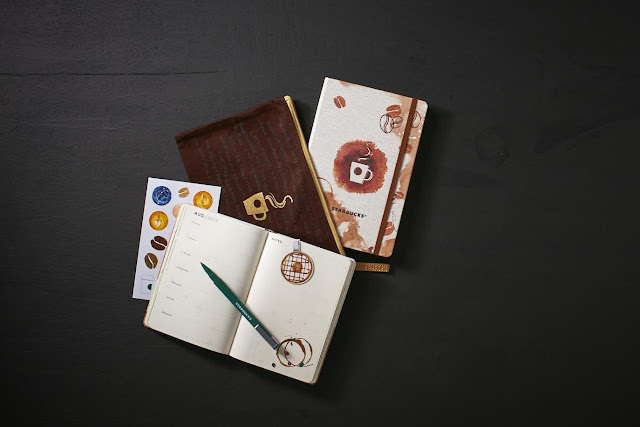 Stickers may be obtained from November 2, 2016 to January 8, 2017.
o Redemption of the Limited Edition Starbucks Coffee 2017 Planner starts November 2, 2016 up to March 9, 2017, at Starbucks stores in the Philippines only. 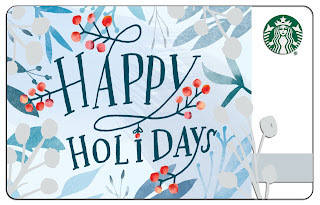 If your friend is a Starbucks addict and couldn't live without coffee in their system, this Holiday Starbucks Card really fits their needs. 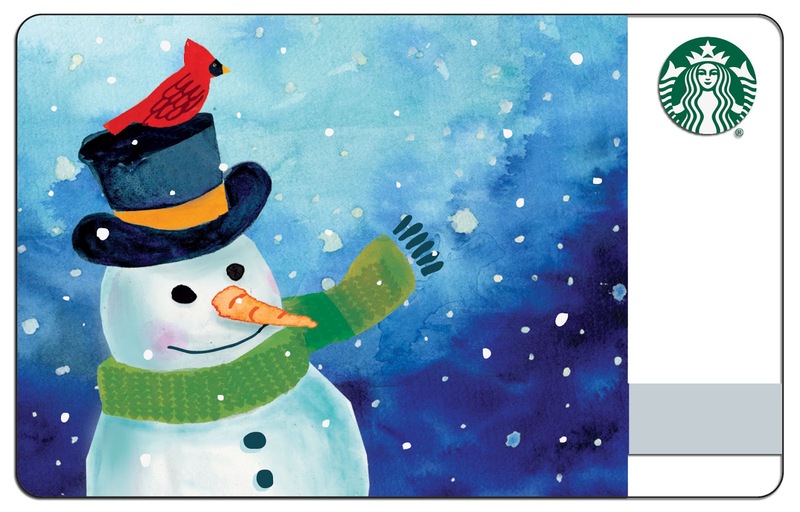 Share the joy of the season with these thoughtful and festive Cards from Starbucks. 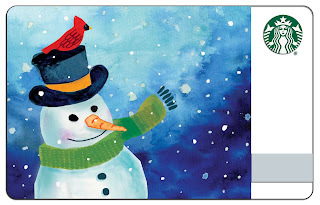 HOLIDAY STARBUCKS CARDS | Our holiday collection features warm and vibrant designs to usher the colors of the season. 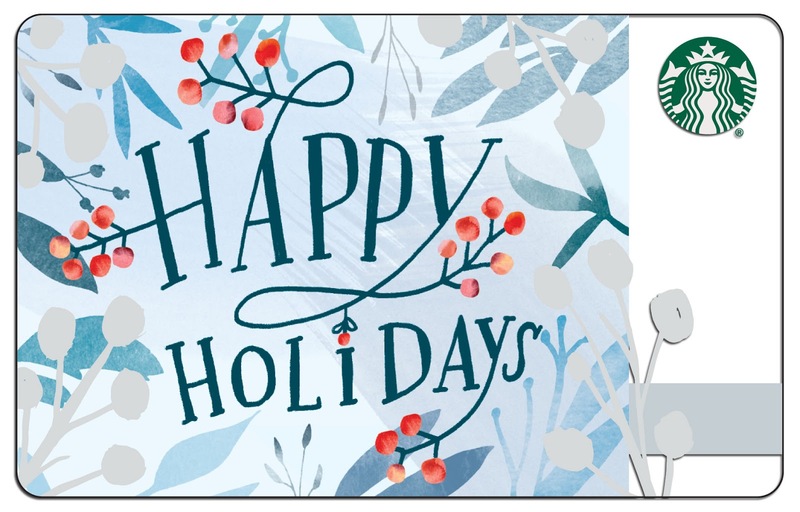 This year’s Snowman and Holiday Tree Cards have a backdrop of wintery scenes in a hand-painted finish, while the Happy Holidays Card decked with mistletoe and holiday holly will be offered for the first time here in the Philippines. Available for an initial consumable load amount of ₱300 per card. Available starting November 2, 2016. 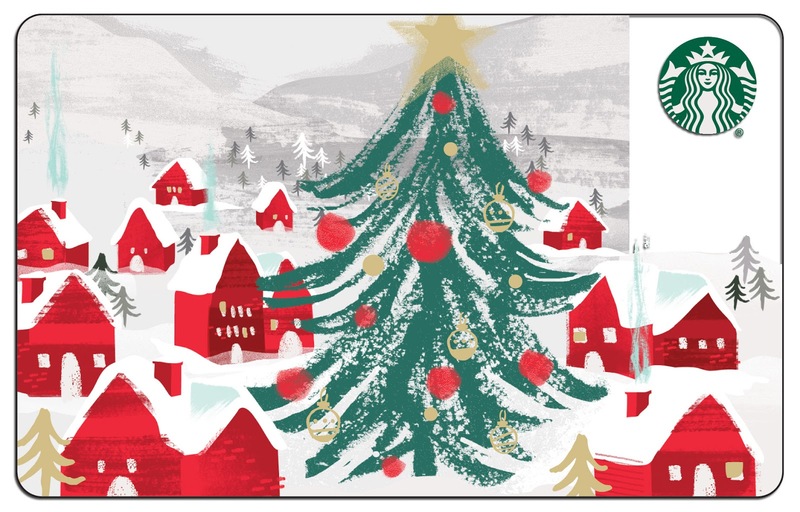 2016 RED CUP CARD | The Red Cup Card comes with a Kraft sleeve carrier mimicking an authentic cafe Red Cup. Available for an initial consumable load amount of ₱1,000 per card. Available starting November 10, 2016. And to our beloved folks out there, this festive Starbucks blend could make them happier as they celebrate Christmas! STARBUCKS VIA® CHRISTMAS BLEND | Our artful blend of the finest aged Sumatra, lively Latin American and mellow Indonesian instant and microground 100% Arabica coffee creates layers of deep spiciness and a touch of sweetness to enjoy wherever, whenever. 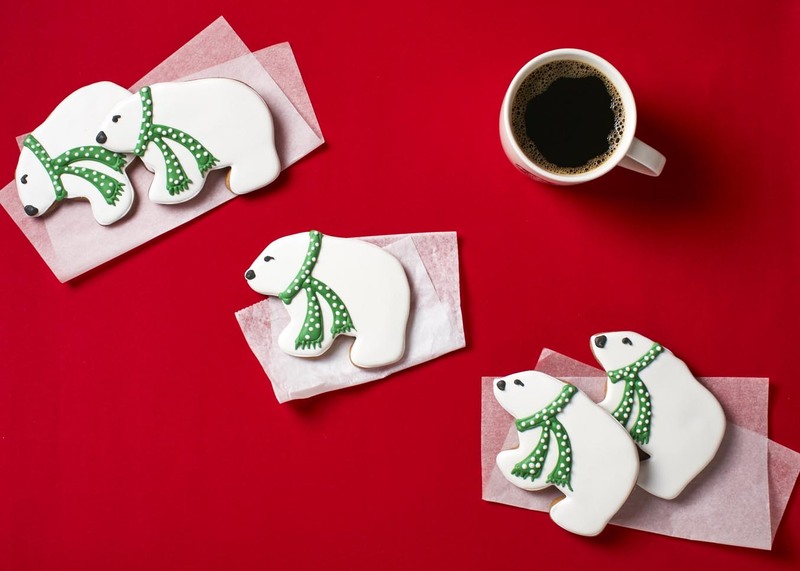 Starbucks VIA® Christmas Blend makes a thoughtful gift for coffee lovers, and is a way for anyone to enjoy Starbucks coffee at home or on the go. STARBUCKS® ORIGAMI™ CHRISTMAS BLEND | Starbucks Origami™ is a convenient and delicious cup of brewed coffee that you can enjoy wherever you may be. The exact same finest aged Sumatra, lively Latin American and mellow Indonesian highest quality Arabica coffees at the heart of all of our Christmas blends, now in a perfect, elegantly designed single-use filter. Who doesn't want chocolates in their Christmas eve celebration? Nobody! Thank God Starbucks brings back some old fave and new cravings! Check these out! CHOCOLATE TOFFEE NUT LOAF | Moist and decadent chocolate loaf topped with chocolate and toffee. PEPPERMINT BROWNIE | Moist and chewy chocolate brownie with peppermint cheese filling and topped with chocolate ganache. 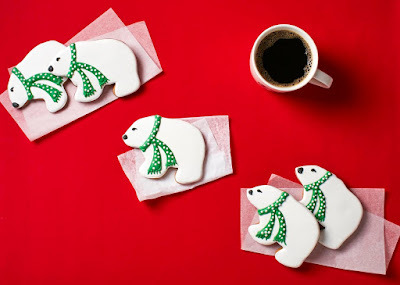 GINGERBREAD COOKIE | A polar bear gingerbread cookie decorated with sugar icing. CHICKEN FAJITA ROLL | A tortilla filled with mouth-watering Mexican flavored chicken breast fillet. CHOCOLATE CRÊPE CAKE | Seventeen (17) layers of crêpe with Belgian chocolate cream in between each layer. SINGLE-ORIGIN CHOCOLATE CAKE MADE WITH VENEZUELAN CACAO BEANS | Milky and light vanilla sponge cake layered with creamy milk chocolate and finished with milk chocolate frosting made with Venezuelan cacao beans. 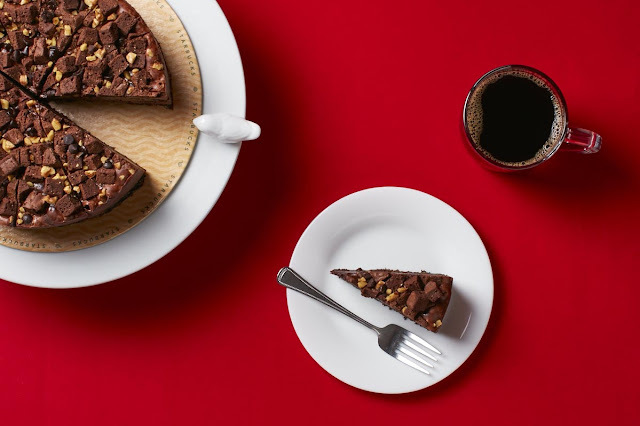 CHOCOLATE FUDGE CHEESECAKE | Dark chocolate cheesecake loaded with chocolate fudge bar, roasted walnuts and chocolate chips. TRIPLE CHOCOLATE TRUFFLE COOKIE | Delicious dark chocolate cookie that is crisp on the outside and gooey on the inside. CHOCOLATE CRUFFIN | Light chocolate cream makes a luscious filling for this muffin- shaped croissant. 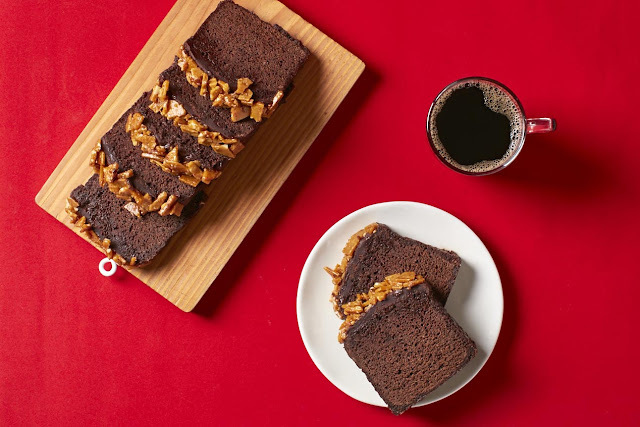 A sprinkling of cocoa powder completes this delectable treat. 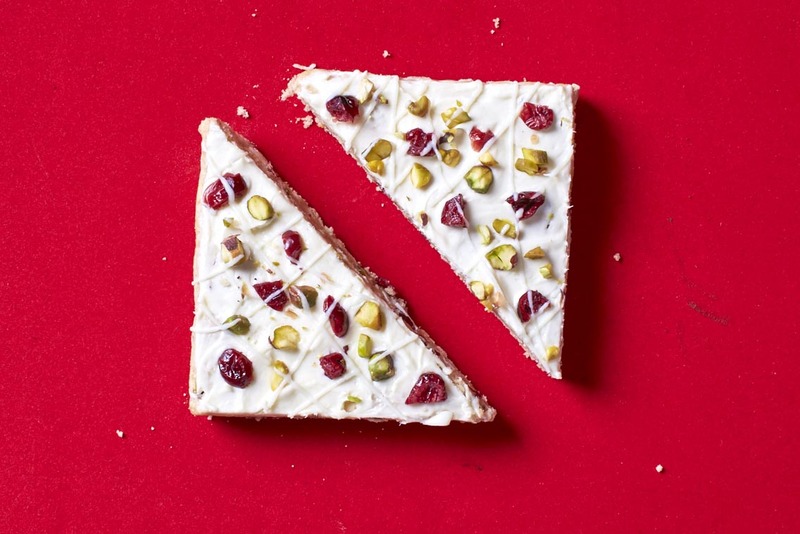 CRANBERRY BLISS BAR | This treat is as tasty as it is gorgeous. Made with sweet cream cheese icing, tart dried cranberries, chopped pistachio and then drizzled with white chocolate. CHICKEN AND TURKEY WITH CRANBERRY SAUCE ON CROISSANT BAGUETTE | Slow-cooked chicken and turkey marinated in Christmas spices, thick cranberry sauce and sweet and salty apple stuffing on a light and buttery croissant baguette. Best served warm. CROQUE MONSIEUR ON CROISSANT BAGUETTE | A flaky butter croissant baguette filled with slow-roasted honey ham, Fontina and Emmental cheese then topped with béchamel sauce and grated cheese. Best served warm. The flavors of Christmas Holidays are back! 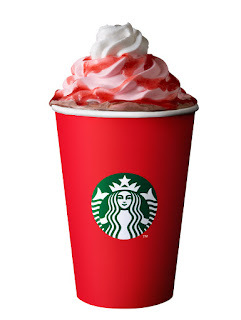 Starbucks beloved holiday beverages crafted by hand and heart. Of course, even a College student would love a Starbucks mug as a gift this Christmas! 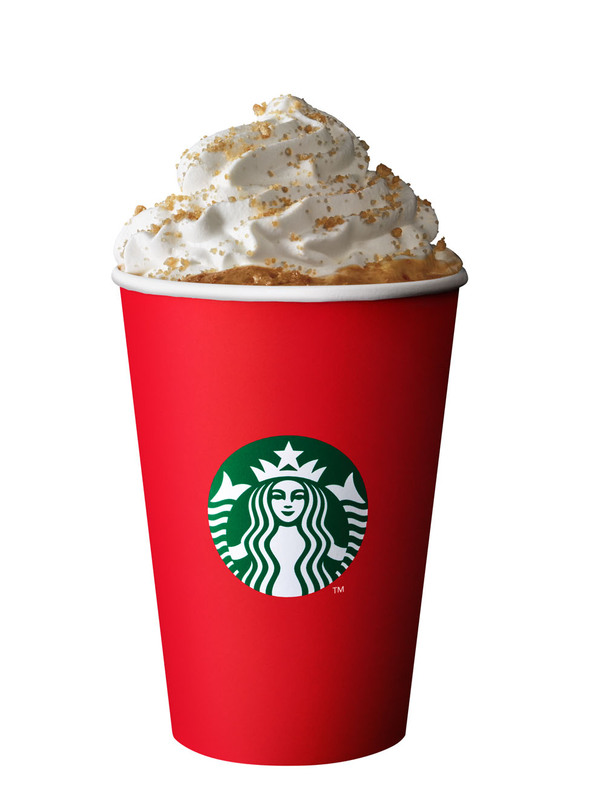 Now, Share the joy of the festive season with these Christmas Favorites from Starbucks.